Note: Microsoft Dreamspark මේ වනවිට Microsoft Imagine ලෙස වෙනස්කර ඇති අතර අනෙකුත් දේ Microsoft Imagine වලටද වලංගු වේ. 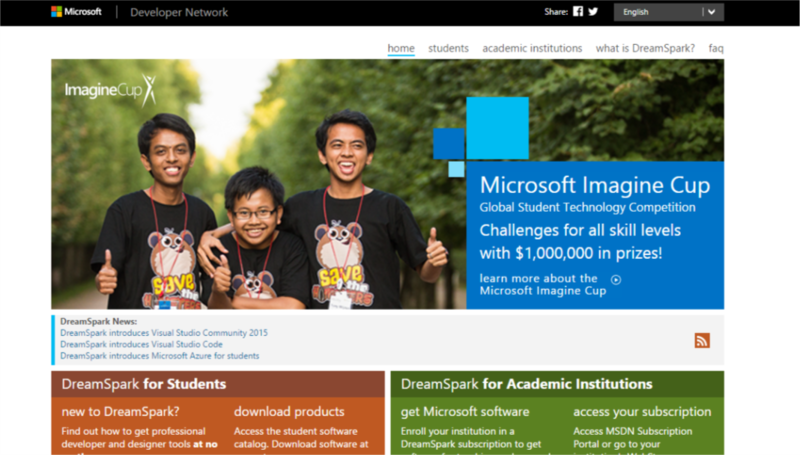 Microsoft Imagine නව සේවාවක් බැවින් screenshots preview වෙනස් විය හැකිය. 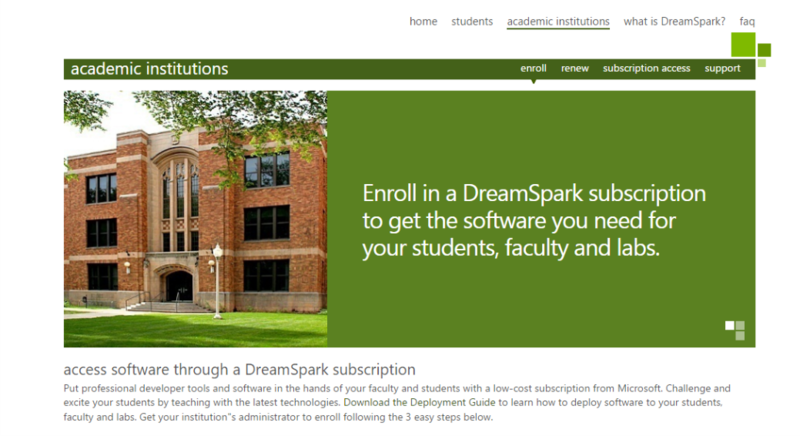 Dreamspark, එහෙමත් නැත්තන් Microsoft Dreamspark කියලා කියන්නේ Micorsoftලගේ Softwares, Studentsලට, ඒ කියන්නේ University, Institute Studentsලට නොමිලේ දෙන්න හදපු Program එකක්. මේක ඇත්තටම Social Service එකක් විදියටත් හඳුන්වන්න පුළුවන්. මොකද සාමාන්‍යයෙන් Microsoft Products වලට සැලකිය යුතු මුදලක් වැය කරන්න වෙනවා. මුලින්ම කියන්න ඕන මේ වැඩේට valid university document එකක් ඕන වෙනවා verify කරගන්න. (ex:University ID) එහෙම නැත්තන් software list එකේ full access ලැබෙන්නේ නැහැ. දැන් බලමු කොහොමද අපි මේ Program එකට join වෙන්නේ කියලා. මුලින්ම මෙතනින් ගිහින් Sign In click කරලා Dreamspark Account එකක් හදාගන්න. Microsoft Account එකක් ඕන කරනවා මේකට. ඊටපස්සේ Sign- in වෙලා Student Tab එකට ගියාම මේ විදියට තියෙයි. තාම verified නැති නිසා Status එක Non-Verified කියලා ඇති. My Student Status click කරන්න. මෙතන විදි 4ක් දීලා තියනවා Verify කරන්න. Institute එක, University එකට Subscription එකක් තියනවා නම් ඒක දෙන්න පුළුවන්. International Student ID එකකිනුත් පුළුවන්. 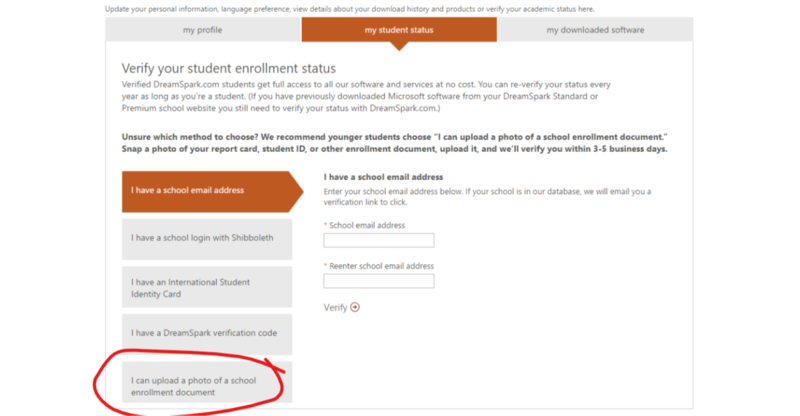 ඒ වගේම Dreamspark Verification code එකක් දෙන්නත් පුළුවන්. (Microsoft Meet-ups වලට ගියාමත් ලැබෙන්න ඉඩ තියනවා 😀 , Student Ambassadorලටත් ලැබෙන්න පුළුවන් distribute කරන්න ). අන්තිම විදිය තමයි University enrollment document එකක් යවන එක. අපි දැන් මේ අන්තිම විදියට තමයි කරන්න හදන්නේ. අන්තිම tab එක click කරාම මේ වගේ window එකක් එයි. මේකට valid document එකක් යවන්න ඕන. University ID එක තමයි ගොඩක්ම හොඳ. මුලින්ම university ID එකේ photo 2ක් ගන්න දෙපැත්තම. ඒක තනි image එකක් විදියට හදලා Attachment filed එකට add කරන්න පුළුවන්. අනිත් details ටිකත් Fill කරලා submit කරන්න. Verification Process එකට දවස් කීපයක් යනවා. Verify වෙලා login උනාම මේ වගේ window එකක් එයි. Verify කරපු account එකක් මාස 12ක් valid වෙනවා. 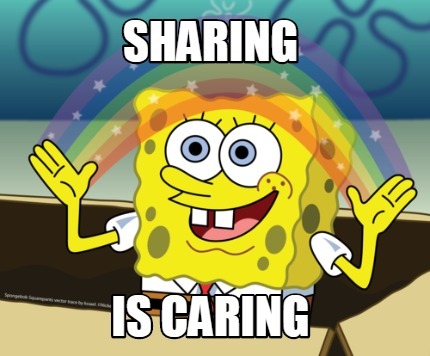 ඊටපස්සේ ආයෙත් document submit කරලා verify කරගන්න පුළුවන් ID එක expire වෙලා නැත්තන්. මේ තියෙන්නේ Verify කරපු Account එකකින් ගන්න පුළුවන් Software & Tools සහ categories. 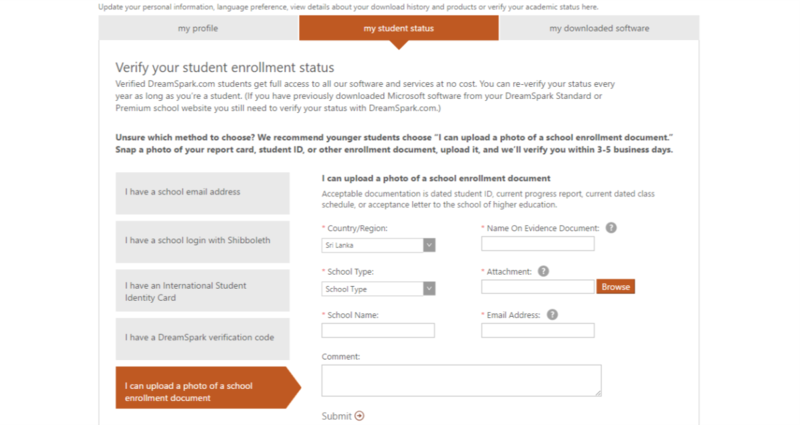 අපිට Dreamspark account එකක් ගන්න විදි 3ක් Microsoft එකෙන් දීලා තියනවා. ඔයාලගේ University එකට, Institute එක Program එකට Eligibility එක බලලා Enroll වෙන්නත් මෙතනින් පුළුවන්. ඔයාලගේ ගැටළු, අදහස් තියනවා නම් comment එකක් දාන්න. 😀 ජය!! This entry was posted in News, Software and tagged how to, install, learn, Microsoft, programming, windows by dhanush_c. Bookmark the permalink. adee dan windows 10 eka denne nadda bn ?